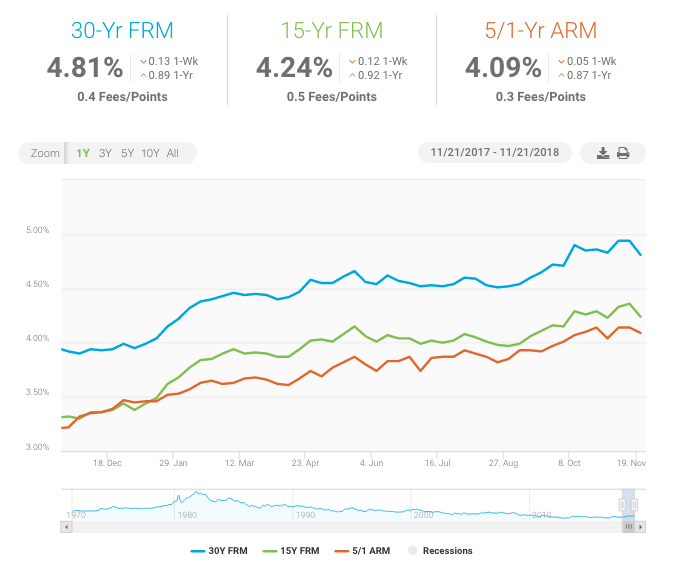 In today’s Market Monday, let’s see how the whole of Greater Tampa real estate performed in October 2018. All the communities covered are shown in the map below. 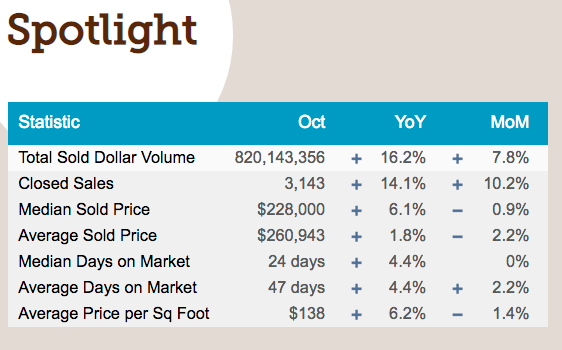 As you see below, Total Sold Dollar Volume, Closed Sales, Median Sold Price, Average Average Sold Price, Median Days on the Market, Average Days on the Market and Average Price Per Square Foot rose compared to October 2017 (YoY). On a month-to-month (MoM) basis (or September 2018 compared to October 2018), Total Sold Dollar Volume, Average Days on the Market climbed, while Median Sold Price, Average Sold Price and Average Price Per Square Feet fell. Median Days on the Market stayed flat. The key takeaway — prices are trending down on a month-to-month basis, but remain higher than a year ago. The Number of Active Listings jumped 18.2% from October 2017, as 6,759 homes were for sale (233 more than in September 2018). New Listings increased 17.3% from October a year ago, as 3,181 homes came onto the market, 215 more than in September 2018. 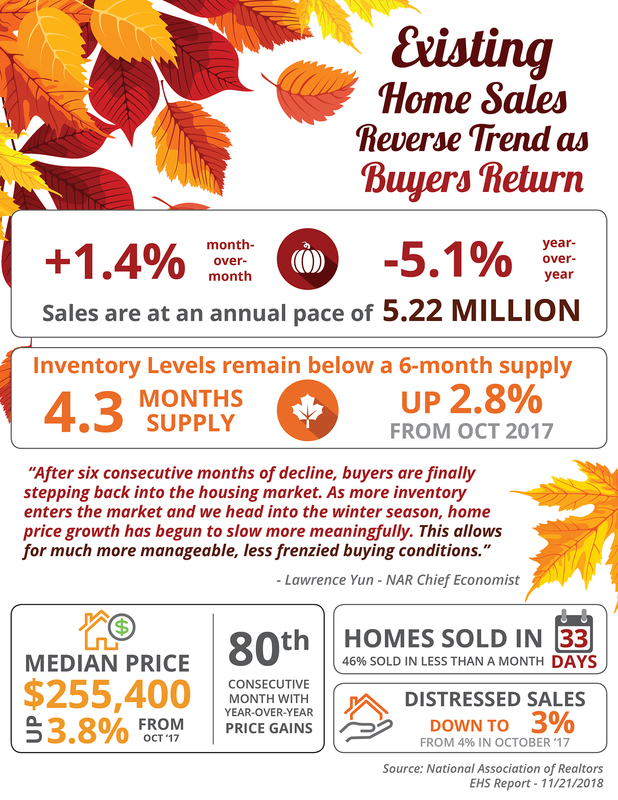 The October 2018 Median Sale Price increased 6.2% over October of 2017, rising to $241,000. But his was $1,250 lower than in September 2018. The Average Price per Sq Foot for Sold Homes jumped 5.3% in October 2018 to $139/sq ft. The Median List Price climbed 7.4%, increasing to $246,990 compared to October 2017. In September 2018, it stood at $245,550. The Average Price List Price per Sq Foot rose 1.9% to $163/sq ft compared to October of last year. The supply of single-family homes increased by 13.3% from October 2017 to 2.76 months. In September 2018, the supply was higher, at 2.92 months. The Absorption Rate*, which shows the rate that homes sell during a given time period, fell 5% from October 2017 to 0.37 . Absorption rate is calculated by dividing the number of sales in a given month by the number of available homes for sale. For example, if there are 100 homes listed for sale in a certain area, and 20 sold during the last month, the absorption rate is 20/100 = .20 or 20%. Now I’d like to share some of the most helpful and interesting blog posts, articles, and infographics we’ve come across. Enjoy! Elton John: Say it isn’t so! The living musical legend will perform on his Farewell Yellow Brick Road tour at Tampa’s Amalie Arena on Wednesday. $55.75-$245.75. amaliearena.com. Boat Parades: This weekend brings an armada of beautifully lit boats parading through the channels of Tampa Bays on Saturday, all beginning at twilight around 5:30 p.m. They include the Alafia Boat Parade (Riverview Civic Center, 11020 Park Drive); Apollo Beach (Tampa Sailing Squadron, 1250 Apollo Beach Blvd., Ruskin); Cotee River Christmas Boat Parade (Sims Park in downtown New Port Richey); Dunedin Holiday Boat Parade and Tree Lighting (Dunedin Marina, 51 Main St.); Pass-a-Grille Holiday Boat Parade and Festival (Merry Pier, 801 Pass a Grille Way, St. Pete Beach). All are free for spectators. Harlem Globetrotters: Bull Bullard and Cheese Chisholm are joined by female stars TNT Lister and Swish Young for a spectacle of amazing ball handling, slam dunks, trick shots and comedy on Saturday at Tampa’s Yuengling Center. $20-$325. yuenglingcenter.com. Music: Tuesday, indie rockers Minus the Bear bring their farewell tour to the Ritz Ybor, ($25 -$35), where hip hop duo Atmosphere perform on Wednesday ($2350-$50). Friday, ’90s alt-rockers Better Than Ezra the “Rock the Cure” concert at St. Pete’s Jannus Live ($40). The 97X Next Big Thing alt-rock festival takes over Tampa’s Midflorida Credit Union Amphitheatre this weekend, with headliners Bastille on Saturday and Panic at the Disco on Sunday ($35 one day; $50 both). Saturday, national and local bluegrass bands including Stump Hollowperform at the Honeymoon Island Bluegrass Festival in Dunedin ($10, kids 12 and younger free, parking additional), while WMNF’s Ukulele Festival brings a range of musical styles to St. Pete’s Cage Brewing ($12-$15, kids 12 and younger free). Star Wars Live In Concert: A New Hope: The Florida Orchestra performs Oscar-winning composer John Williams’ musical scores live to a film screening at Clearwater’s Ruth Eckerd Hall on Saturday ($52.75-$102.75). rutheckerdhall.com. Snow: There are two ways to experience snow in St. Pete this weekend. St. Pete’s North Straub Park becomes a inter wonderland for Snowfest, when 65 tons of snow are blown in for family snow related activities, including toboggan slides, a kiddyland and teen video gaming. Tyrone Mall kicks off Snow Blast on Saturday, so wear your long pants and closed toe shoes for snowball fights, snow tubing, snow slides, and stage shows. $25, 2 and younger free. simon.com. The day after Christmas is the best day to buy a home if you’re looking for a discount, according to a new study from Attom Data Solutions. Overall December is the best month to buy a home if you’re looking for a deal, the study found. “People closing on a home purchase Dec. 26 were submitting offers around Thanksgiving and starting their home search around Halloween — likely not a common path to home purchase for most buyers and exactly why it’s the best time to buy,” Daren Blomquist, Attom’s senior vice president said. “Buyers and investors willing to start their home search right about when stores are setting up Christmas decorations will face less competition and likely be dealing with more motivated sellers, giving them the upper hand in price negotiations,” he added. Only 10 days of the year actually offer discounts below estimated market value — and no months do overall — according to the analysis. Seven of the days are in December, with one each in October, November and February. As soon as October wraps up, many sellers take their houses off the market for the holidays. Buyers, too, tend to take a seasonal pause. This year, the traditional drop-off in activity is dovetailing with a broader slowdown in the housing market that began in the summer as mortgage rates rose. Historically, the slowest stretch for home sales is November through February before sales pick up again in March. 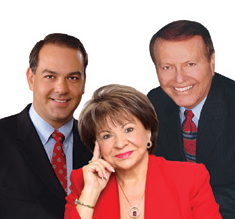 Still, if you need to sell your home right away – say for a job relocation – there are some encouraging factors. Buyers who stick around during the winter tend to be very serious and ready to commit. There also are not as many homes on the market to compete against. The downward spiral in oil prices and a volatile equities market caused mortgage rates to decline 13 basis points to 4.81 percent, the largest weekly drop since January 2015. Mortgage rates are the lowest since early October and the dip offers a window of opportunity for would be buyers that have been on the fence waiting for a drop in mortgage rates.